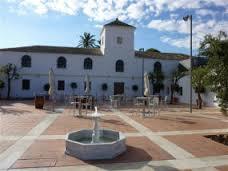 The Hacienda Riquelme Golf Resort is located in Sucina, barely 15 minutes from Murcia. 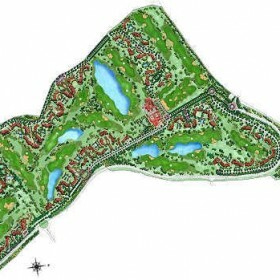 It features a magnificent 18 hole, par 72 golf course by Nicklaus Design, a team of the most accomplished golf course design and construction experts, supervised by golf legend Jack Nicklaus. 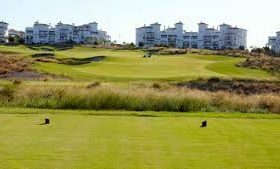 The Hacienda Riquelme Golf course weaves its way through and around groves of olive trees, wildflower meadows, and large lakes. 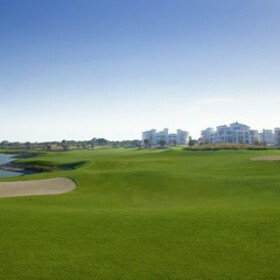 This course is once again different to the other courses belonging to the Nicklaus Golf Trail, 6 courses that form the best golf opportunity in Europe. 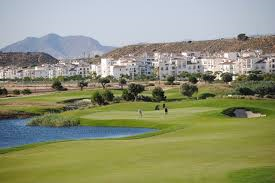 Hacienda Riquelme has wide fairways and greens with complicated approaches, not to mention the challenging bunkers. The boldly contoured greens are sure to be the most talked about feature of the course. Many of the greens are broken into several sections by strong elevation changes making it crucial for golfers to play to the correct section of the green in order to set up the easiest putt possible. Additionally, the greens also feature numerous subtle random contours and rolls further complicating putting. The unique bunkering creates a dramatic look sure to set Riquelme apart from other courses. Many of these large rugged bunkers are very deep with sand flashing in places up to three meters. The edges of the bunkers are cut in a jagged manner further adding to their distinctiveness while accenting the more rugged nature of the course. It is an entertaining championship golf course, which brings out the best strokes in all players, with exciting tee shots and the highlights on the 2nd and 3rd shot. 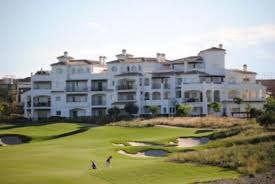 Close to everywhere, Hacienda Riquelme Golf Resort is located in Sucina, the distance to Murcia San Javier airport is 15 minutes as well as to the capital, the City of Murcia and 40 minutes of Alicante´s International Airport. IRM Golf preserves a series of requisites to ensure maximum quality of the golf courses, golf is understood as a complete experience. For this reason, apart from creating courses in perfect conditions, careful attention is also given to landscape. 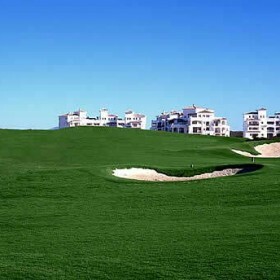 The courses generate an excellent game for al type of golfers. 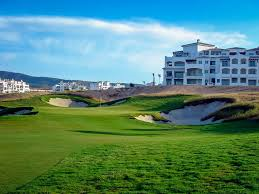 Thanks to the experience and knowledge of Jack Nicklaus in designing and supervising golf courses he has paid a special attention to the natural landscape of this area and has created a real challenge for golf lovers at the IRM Golf Resorts. Today, Nicklaus also stands for superior golf course design, a team of the world´s most accomplished golf course design associates, agronomists, industry consultants, and experts in golf course construction and marketing. The result of that dedication and ingenuity is hundreds of spectacular golf courses, over 270 worldwide. Yet as unique as each design is, they all share the Nicklaus philosophy of working closely with clients, enhancing the natural environment and creating courses that are both challenging and enjoyable for players of all levels.